Voxer® is more than just a Walkie-Talkie. With Voxer every push-to-talk message is live (people can listen as you talk) and recorded (as a message in your timeline). You can also send text, photos, and share your location. 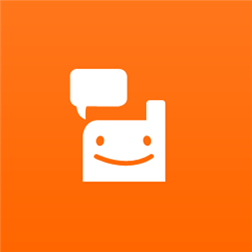 Voxer allows you to easily and instantly communicate with one friend or a group of friends. Friends can listen to your message while you talk, or check audio messages later. Forget about separate phone calls, voicemails, text messages and emails. Voxer turns your device into the ultimate PTT (Push To Talk) real-time Walkie Talkie.